It can be great to clean your home at this time of year to get it ready for spring. You can tackle the cleaning you have been putting off all year with our help. 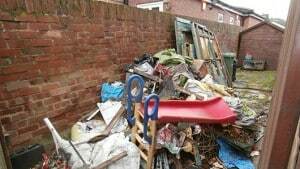 The LRCS team can help by providing the professional rubbish clearance Lincoln residents trust. We remove unnecessary items so that your home does not fill up with junk. Cleaning your home is a healthy and cathartic process. You can enjoy the experience of throwing away things that you no longer need. This can be smaller items like clothes that no longer fit or larger pieces like furniture. Without as much clutter, you might find that you are happier and more productive. This is because there are fewer distractions and you get to enjoy your clean and tidy space. Clearing out is practical too because you will gain space for the things that you do need. It could be more room for storage, a chance to update parts of your home, or transforming a room that you use to store junk so that you can put it to better use. It is more effective if you go through room by room. Make sure you clean up at the same time as it can generate a lot of dust and dirt. You also need to think about whether you really need everything that you own; be ruthless and think about the last time you used everything. After you have piles of things you no longer want, you need to get rid of them. You might feel overwhelmed when thinking about what to do with it all. Some deep cleans can create huge amounts of items to dispose of. Instead of worrying, sit back and give LRCS a call. Our services for the rubbish clearance Lincoln can count on are designed to help you. We take what you need us to in a swift manner so that you don’t have to deal with it alone. You won’t have to think about the right disposal method for each item or how to move it all. Countless people enjoy using our services so rely on us and get in touch today.